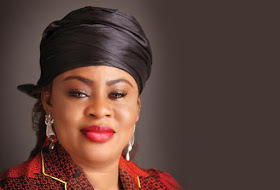 The National Assembly Election Petitions Tribunal in Anambra state yesterday October 12th upheld the election of Stella Oduah as the senator representing Anambra North Senatorial District. The senatorial candidate of the All Progressives Grand Alliance (APGA) Dubem Obaze and his party had petitioned the tribunal over the emergence of the former Aviation minister as the Senator representing the senatorial zone in the March 28th election. Delivering his judgment, the Chairman of the tribunal Justice Hezekiah Solanke, dismissed the petition for lacking in merit, stressing that the petitioners failed to prove their allegation. Justice Solanke also added that the petitioners also failed to present relevant documents relating to the alleged malpractice carried out at Onitsha North, Onitsha South and Ogbaru local government areas during the election. He said the petitioners failed to prove that Oduah was not duly nominated by the Peoples Democratic Party (PDP) to contest the poll.